Every autumn, a number of us colour lovers wait in anticipation to see what Pantone will declare as the next colour of the year. What they choose is meant to be a predictor of all things involving colour – from nail polish to textiles. The selected colour is representative of a range, or a feel of a colour. 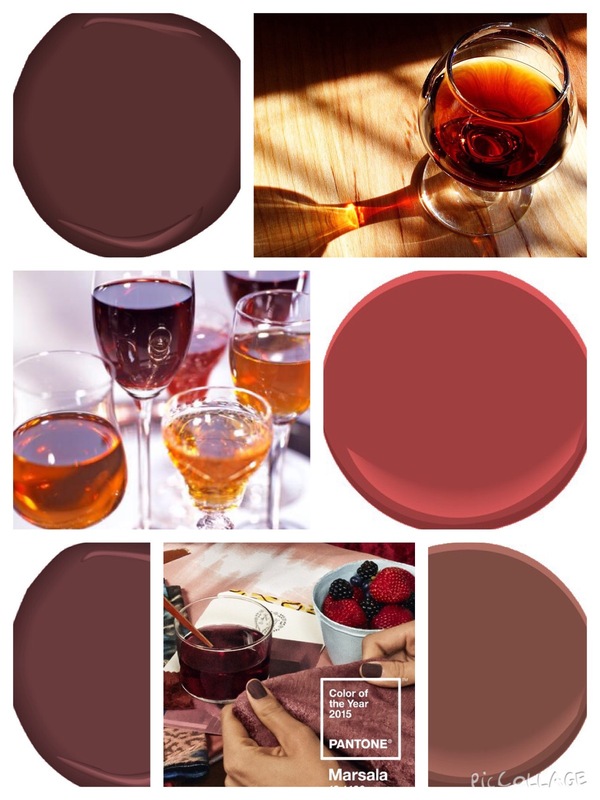 Marsala in reality, is a sweet fortified wine which ranges in colour from claret to a tawny brown. The colour, and its berry/wine/brick relatives, have been making a reappearance in the world of fashion and beauty in the last 18 months so it is not a great surprise to find it in decor now, especially in the winter months. With greys still so popular, marsala inspired colours would be perfect for adding a touch of warmth to a room. Cushions on a grey sofa or towels in a grey bathroom, they would be a welcome contrast, nestled into a cooler palette.